We're calling it: Peach is the eyeshadow color of 2017. And ever since our favorite artistas started wearing the shade, we couldn't stop obsessing over it—we even reviewed a few formulas! Want to know the best ways you can wear this warm hue? 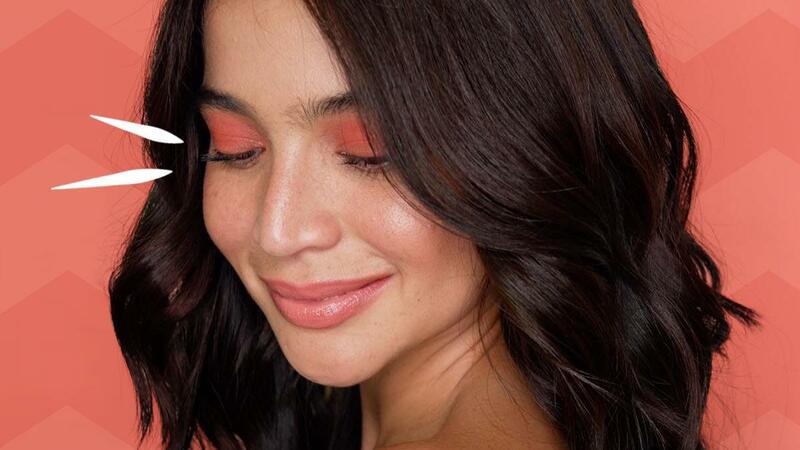 Read on to find out how these celebrities slayed their peach makeup game. Natural kilay, glossy lips, and a soft peach shade on the lids will give you a sweet, doe-eyed look. Layer up the shadow to give your peepers a fun *pop*! For a party-ready look, we're loving Gabbi’s metallic peach shade that shimmers when hit by light. Pair it with falsies, a rose lip, and a high bun for a glamorous night out. This is how you wear peach the "adult way"—like you're lit from within. Mixing peach with bronze will create an eye look that will ~mesmerize~. Peach eyes, lips, and cheeks? It will never go out of style! If you just want to add a soft shadow over your lids, using a fluffy brush will help you achieve that. Janine's glowing complexion, paired with bright peach eyes and a coral pout, is the perfect beach MOTD. Love the Korean beauty look? Then this peach shimmery eye and gradient lip will be your new go-to!